In N v ACCG  UKSC 22, the Supreme Court has now pronounced definitively upon what the Court of Protection should do where is a dispute between the providers or funders of health or social services for a person lacking the capacity to make the decision for himself as to what services should be provided to him either between the person’s family or, by analogy, by those acting on behalf of the person. The appeal arose from the decision taken in 2013 in relation to a young man, MN, with profound disabilities who lacked capacity to make decisions about his care. He was made the subject of a care order when he was 8 years old and placed in residential accommodation. On turning 18, he was moved to an adult residential placement and the clinical commissioning group took over funding for his placement, the local authority remaining involved in the proceedings. MN’s parents accepted that he should live at the placement for the time being, but wished to assist in providing intimate care to MN at the placement, and to have contact with MN at their home. The CCG did not agree that intimate care should be provided, and was not willing to provide the necessary funding for additional carers to facilitate home contact. At first instance, MN’s parents contended that the court should nevertheless determine MN’s best interests in respect of both matters. The local authority and the CCG submitted that the court was only able to choose between available options. At first instance, Eleanor King J held that the court should not embark upon a best interests analysis of hypothetical possibilities in relation to home contact and that it would be only in exceptional cases that an argument founded on the Human Rights Act 1998 would require the court to consider options that were not available. Both parents appealed to the Court of Appeal, which upheld Eleanor King’s judgment. Mr N appealed to the Supreme Court, and was supported in his appeal by Mrs N. The CCG and the Official Solicitor, on behalf of MN, sought to uphold the decision of the Court of Appeal. Lady Hale, giving the sole judgment of the Supreme Court, considered that the true issue was not the jurisdiction of the Court of Protection (as it had been put by both Eleanor King J and Sir James Munby P in the Court of Appeal), but rather the approach it should take in light of its limited powers. 4. Courts and people taking decisions on behalf of those who lack capacity to do so have to do so in their best interests, and, following s.4 MCA 2005, a conclusion as to what is in a person’s best interests “is a decision about what would be best for this particular individual, taking into account, so far as practicable, his individual characteristics, likes and dislikes, values and approach to life” (para 34). How, then, should the court reconcile its duty to decide what is in the best interests of the person with the fact that it only had the power to take a decision that P himself could have taken? As Lady Hale made clear (para 35) this meant that it had to choose between the available options, and its powers were (in this respect) similar to the family court’s powers in relation to children, as the House of Lords had previously explained in Holmes-Moorhouse v Richmond upon Thames Borough Council  UKHL 7. As Lady Hale outlined (at para 37), service-providing powers and duties – including those under the Care Act 2014 (not relevant in MN’s case, but relevant in many others) – have their own principles and criteria which do not depend upon what is best for the service user, although such would no doubt be a relevant consideration. She noted, in particular, that whilst decisions on health or social care services may engage the right to respect for private (or family) life under Article 8 ECHR, decisions about the allocation of limited resources may well be justified as necessary in the interests of the economic well-being. Lady Hale concluded that, on the facts of the case before Eleanor King J, consideration upon the lines set out immediately above would have led to the conclusion that it was unlikely that investigation would bring about further modifications or consensus and that it would have been disproportionate to devote any more of the court’s scarce resources to resolve matters. As she put it at para 44, this was “a case in which the court did not have power to order the CCG to fund what the parents wanted. Nor did it have power to order the actual care providers to do that which they were unwilling or unable to do. In those circumstances, the court was entitled to conclude that, in the exercise of its case management powers, no useful purpose would be served by continuing the hearing.” Lady Hale accepted that Eleanor King J had not put matters in quite those terms, but that was the substance of what she was doing and she was entitled in the circumstances to do so, such that the appeal fell to be dismissed. This decision put beyond doubt the limits of both the Court of Protection and, more broadly, what can be done in the name of best interests. As Lady Hale has made so starkly clear, a decision as to what is in the person’s best interests is a choice between available options. This means in practice, and all too, often a constrained choice where a person is wholly or partially reliant upon public funding to meet their care needs. However, Lady Hale made clear that the approach that she was setting out was one that had always been intended from the very earliest work of the Law Commission. Many people may regret this decision as the “hollowing out” of the concept of best interests, as Beverley Clough memorably put it in a post prior to the hearing. Further, some may contend that the result is inconsistent with the CRPD, which had a cameo role in the hearing. However, for our part, we would suggest that our energies should be devoted more to ensuring that those mechanisms which exist to facilitate the involvement of those with impaired capacity in service provision decisions made for them under the relevant legislation (for instance advocacy under the Care Act) are made meaningful. This is an area where real supports are required for the exercise of legal capacity under Article 12 CRPD (and also to make real the right to independent living under Article 19). 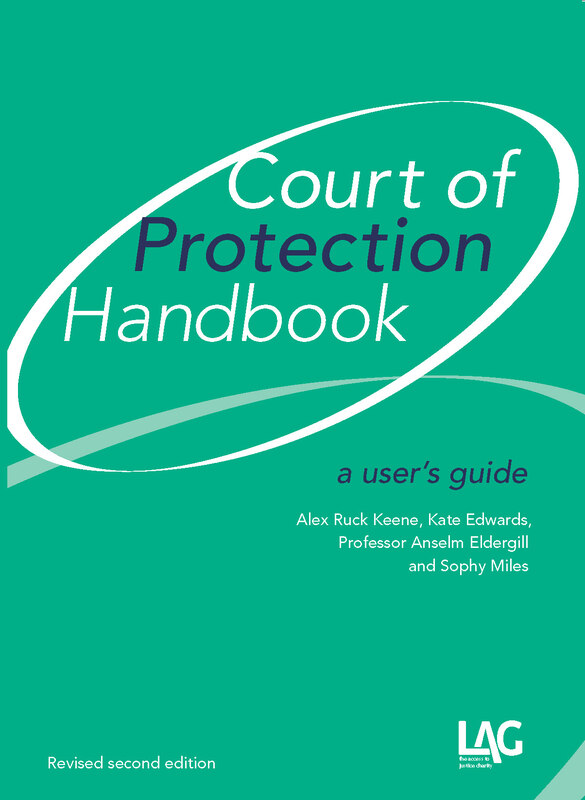 As regards the role of the Court of Protection, it is now clear beyond peradventure that the court should be in the driving seat as regards the management of cases that come before it, and we hope also that this judgment fortifies the court in taking the robust case management steps set down in the Case Management Pilot. We will certainly not be changing our advice that any person, and in particular any public body, appearing before the court can expect to have their decision-making probed robustly, especially where the consequences of those decisions are such as to remove from the table options which it is clear P would wish to be able to choose. The Supreme Court did not comment upon whether the Court of Protection is able to hear claims brought under s.7 Human Rights Act 1998; both Eleanor King J and the Court of Appeal had held that, exceptionally, the court is able to consider a claim that a public body is acting unlawfully in the steps that it is taking towards P by reference to the ECHR, and we suggest that the Supreme Court’s silence on this point should be taken as endorsement of this position. We note that this is different to the question of whether the Court of Protection should be able to make declarations and/or damages to reflect a public body’s past actions breach the ECHR – there is no doubt that the court has the jurisdiction to do this, but, as is becoming increasingly clear the approach of the LAA, in particular, would seem to suggest that the much better course of action will normally be to bring separate proceedings in the county or High Courts. We note, finally, Lady Hale’s observations at para 38 as to the limits of s.5 MCA 2005. It is no little interest in light of the rumbling issue Alex has discussed elsewhere as to when judicial sanction is required before steps can be taken by public authorities that Lady Hale clearly takes an expansive view of s.5. If the Law Commission recommendations are taken forward, then this “general authority” (a phrase which harks very much back to the wording of the original 1995 report) would be significantly constrained in any case involving significant interference with the Article 8 rights of the individual. For our part, though, we consider that the issues at the heart of MN’s case would always require resolution by the court – albeit we would sincerely hope at very much greater speed. This post was written by Alex Ruck Keene, Sophy Miles and Neil Allen, respectively junior counsel for the Official Solicitor, Mrs N and Mr N before the Supreme Court.